The design of the much loved Mini Cooper dates back to the 1950s and has elegantly withstood the test of time to become the British icon it is today. Mini Cooper engineers would tell you that there are several generations of Minis, each different from the rest. However, if you asked the average person on the street, they would probably struggle to see the differences between some of the generations. This shows that product redesigns can go unnoticed despite considerably improving and updating the product benefits. A similar principle applies to electrical products. Here we discuss how computational fluid dynamics (CFD) comes into play for improving product designs that have stayed much the same for decades. CFD combines the principles of fluid mechanics with numerical algorithms to analyse the behaviour of a fluid and the forces it exerts on bodies. Like structural and electromagnetic packages, CFD is one of the computer-aided engineering (CAE) technologies that have flourished in the past decade. CAE has progressively become a tool of overwhelming importance given its flexibility in allowing manufacturers to understand their products better and improve product performance quicker and with fewer resources. CAE is used in factory settings in a wide range of stages: from first design and proof-of-concept through to the development and verification of a product. By providing a reliable and accurate digital simulation of how a resistor will perform in a given situation, the manufacturer can identify potential drawbacks and improvements early in the design process. Moreover, CAE tools allow engineers to perform simulations on existing products without having to design, set up and maintain a highly complex testing rig. Finally, CAE allows design engineers to experiment changing different parameters (the so-called ‘what-if’ analysis) and – hopefully – to find the optimum design. In turn, this translates into time and cost savings for their clients. One challenge that Cressall Resistors continuously faces is the brittle nature of ceramic post insulators. Apart from the primary function of providing electrical insulation, post insulators play a fundamental part in the structure of the enclosure. This problem is sharpened by the brittle nature of the porcelain ceramic from which they are made. 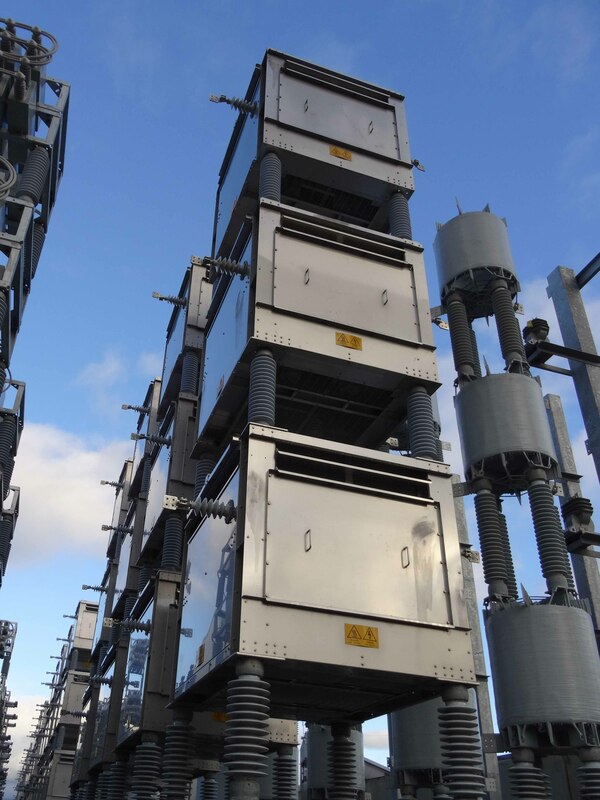 Post insulators need to withstand the impact of the journey from factory to site, the installation and the strong winds they will be facing throughout their lifetime, especially for offshore or near-coast projects such as wind farms. By using CFD, Cressall’s design engineers can assess the wind force that an enclosure can be subjected to - ensuring that the product is fit for purpose and for the environment it will operate in. Power resistors reach high temperatures in service, which makes the design of the cooling mechanism a critical part of the design process. The principal cooling method is defined by the exact application of the resistor and location in which it is going be installed. The three methods used are natural or forced air convection or forced water-cooling. For all types CFD allows engineers to understand the performance of the cooling system and make adjustments to refine a design. 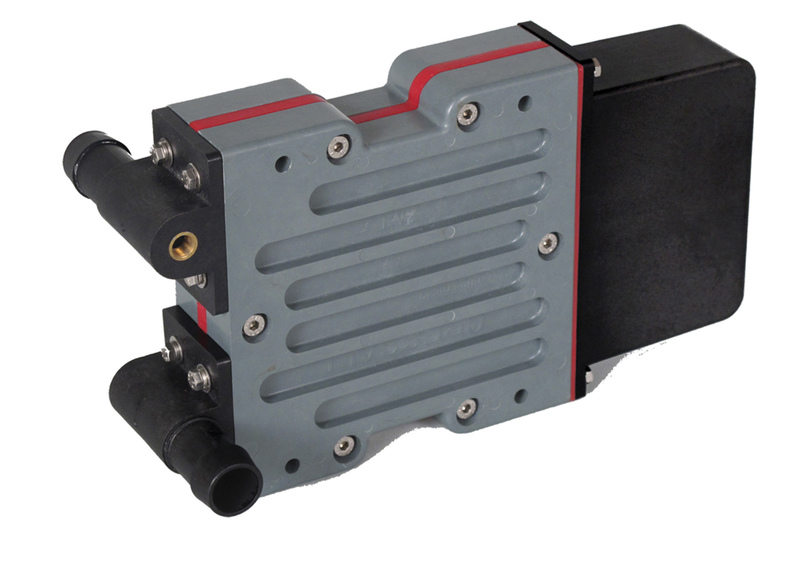 The EV2 water-cooled resistor has a very high power density that enables Cressall to offer a compact solution where water cooling is a preferred option. An accurate design aimed at streamlining and reducing all possible pressure drops is therefore crucial to enable customers to use smaller pumps and saving energy on the long run. Thus CFD plays an important role in the design of water cooled resistors such as Cressall’s EV2. Recently, Cressall was asked to reduce the pressure drop in one of the systems where an EV2 water-cooled resistor was installed. In particular, the customer was limited on the amount of pressure available from the pumping system in such a way that the minimum flow rate needed to cool down the EV2 modules could not be reached. In this case, Cressall was able to replicate accurately the bottleneck in the system and quickly identify the necessary improvements. The firm designed a new assembly to fit these customer requirements. The design went directly into production following a simple proving test without time-consuming iterative physical testing. The revised product was delivered in-line with the customer’s maintenance schedule. The applications of CFD are almost endless, but the bottom line is that the software enables designers to pinpoint specific performance of new products and improvements to established designs with confidence. It allows suppliers to meet the bespoke requirements of customers, making their products more precise and reliable, while also minimising design and test costs for clients. Just like the Mini, the proof of good design is its ability to withstand the test of time. Using CAE enables Cresall to create bespoke, reliable products, refining the classic design of the electrical resistor and bringing it into the era of smart manufacturing. Damiano Natali is R&D engineer at Cressall Resistors.